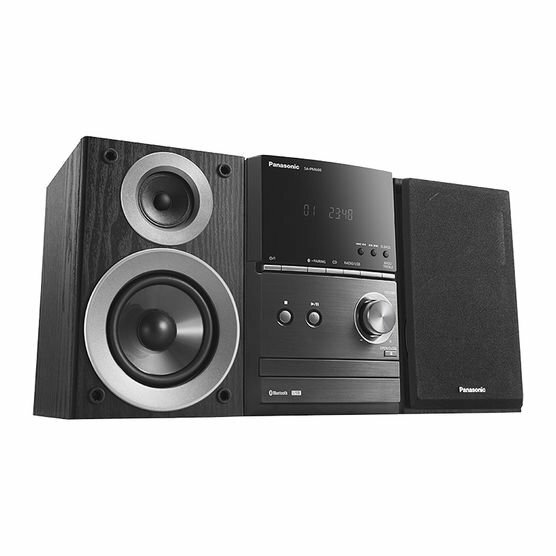 A CD Micros System with versatile audio technology for high quality sound, including wireless Bluetooth music streaming. Full Digital Amplifier ensures no sound quality is lost from any source. Re-master function compensates for compressed digital files. With AUX, Bluetooth, CD player and radio, there's so many ways to listen. Great for rocking out when no ones watching.